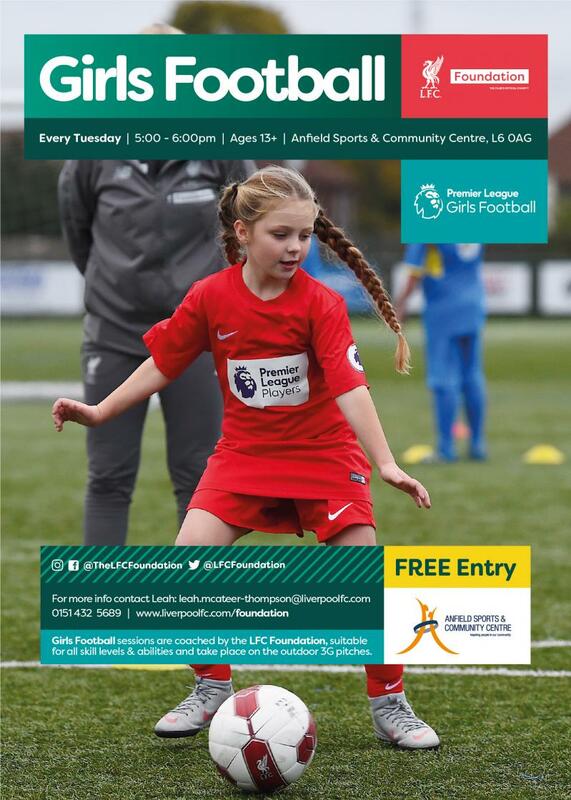 Delivered in partnership with The Football Association, Premier League Girls Football aims to provide opportunities for females aged 8 and above to take part in the sport in a local community setting. Our NEW PL Girls Football session launches Tuesday 23rd April, for girls aged 13 and up! Our Girls Football session runs every Tuesday & Wednesday from 5:00 till 6:00pm on the 3G Pitches at the Anfield Sports & Community Centre. Jessie plays Kicks football every week, check out how the Foundation has helped her develop her skills!